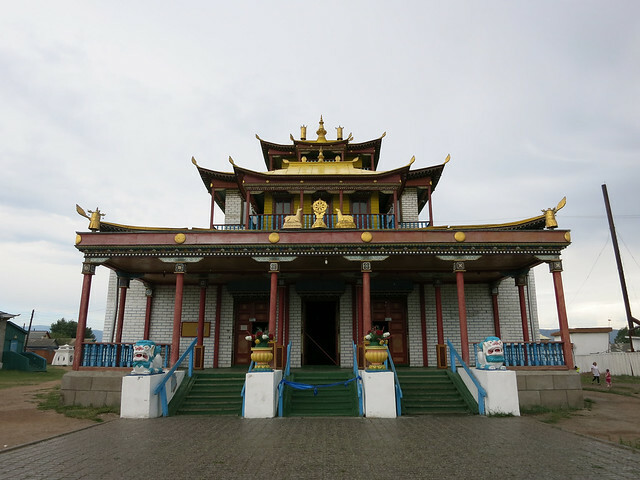 The first multi-day stop on our Trans-Siberian trip was in the small city of Ulan Ude, the capital of the Buryat Republic and the home of Tibetan Buddhism in Russia. Even though religion was banned in communist Soviet Union, Stalin allowed the Buryats to maintain and practice Buddhism to thank the Buryatia for their help defending the country during World War II. Up until 1990, the city was closed to visitors due to nearby strategic military posts, but it’s quickly becoming a favorite stop on the Trans-Siberian route due to the uniqueness of the culture and a couple of attractions that are definitely worthwhile. The city itself is one of the poorer cities in Russia, but it is quickly changing. Even though the Buryats are a minority in the city, their presence is very apparent in the food and culture. Since the Buryats have more Asian features, it almost felt like we were in an Asian city rather than a Russian city. 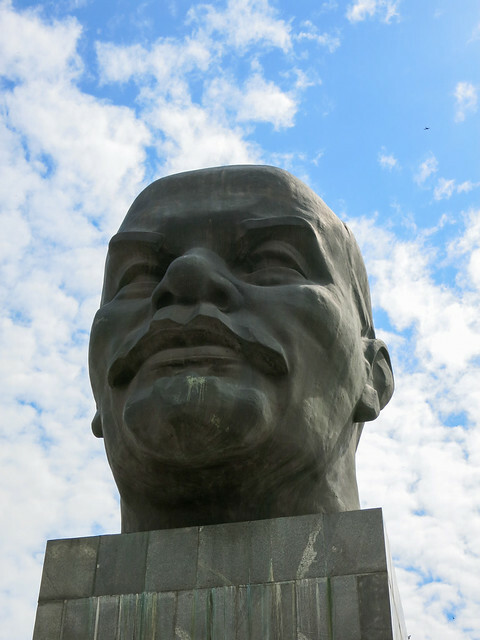 The next day, we got our bearings and walked over to check out the world’s largest Lenin head sculpture in the middle of the city. The massive head is 7.7 meters tall and weighs 42 tons and it’s awesome to see in person. There wasn’t much else to do besides stare at it for a few minutes and snap some pictures like proper tourists. We noticed that it must be a legal requirement to get at least a few wedding pictures there because there were no less than three bridal parties taking pictures with Grandfather Lenin. After we were done studying Lenin’s head, we walked to the central bus station to catch a marshrutka* to the Ivolginsky Datsan, the Tibetan Buddhist monastery that is the centre of Russian Buddhism. We got to the bus station to wait for marshrutka #130 and confirmed with the locals that we were waiting in the right place. After waiting for an hour, we decided to call our host to ask for help. Thank gawd for the cell phone! She called around and found out that the bus no longer stops at the central bus station; instead, it now stops at another bus station. No signs alerting us to this sudden change and nothing on the website for the Datsun. This is Russia. I think they do this to keep the tourists on their toes. Anyway, our host and her hubby were kind enough to pick us up and drive us to the other bus station where we quickly found the right bus and after two hours we were finally headed to the temple. The ride to the Datsan was actually fun. 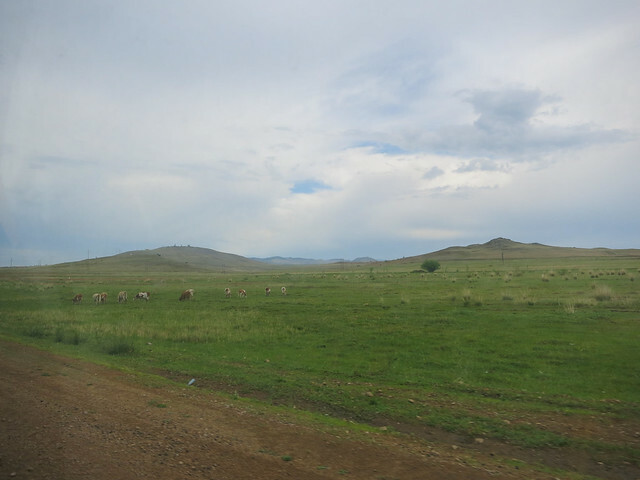 We headed out of the city center and the landscape quickly changed. Within five minutes we saw cows, goats, horses and chickens roaming freely along the side of the road. Some the cows were almost close enough to touch at one point. 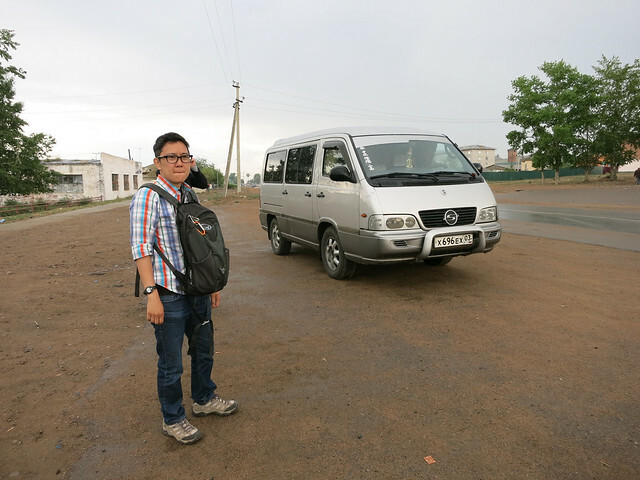 The marshrutka dropped everyone off after about 40 minutes and then we were told to board another one to take us 4km to the Datsan. A kindly boy offered us his cigarettes while we waited in the rain for the next driver to let us board the bus. We politely declined because smoking will kill you. We were crammed into the minivan with the locals and swerved and bounced down an unpaved road where we were deposited in front of the Datsan. I’ve never seen a Tibetan Buddhist temple before and my only conception of Buddhist temples are the ones I’ve seen in Japan. Compared to the Japanese temples, the Datsan was a poor man’s version, but it was still great to see. The monastery was completed in 1946 and the Dalai Lama has visited a number of times. Our guidebook told us that visitors are guided by a monk, but I didn’t see any monk guides that day. We just followed the locals and walked around in clockwise direction, spinning the temple spindle thingies that are placed all around the perimeter. Overall, the Datsan was a nice side trip and it was interesting to learn about its historical and cultural significance for the Buryat people. 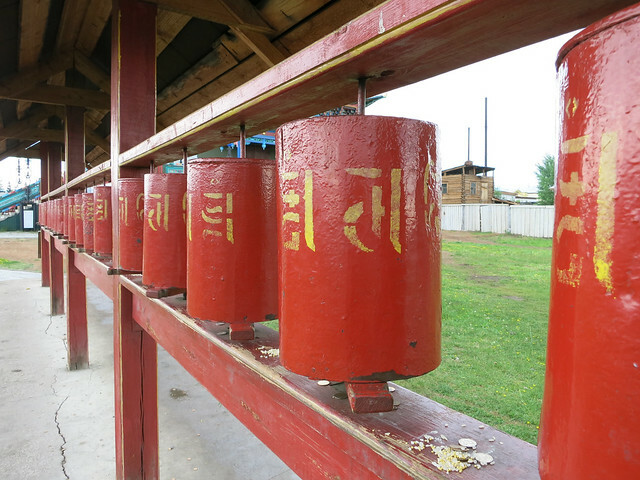 Tibetan Buddhism prayer wheels. Spin these in clockwise direction as you walk past. 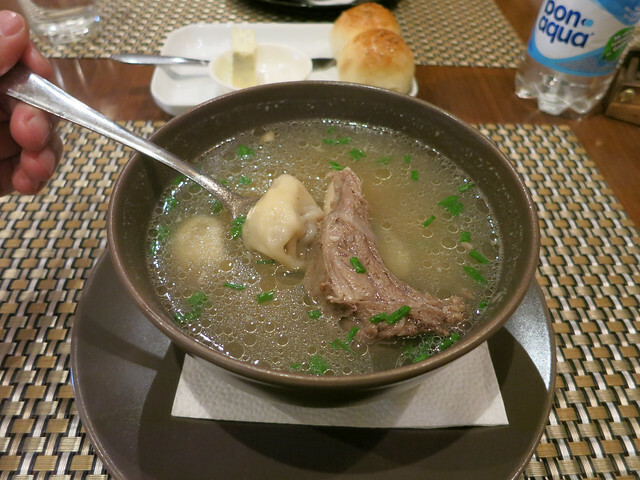 Traditional Buryat lamb and dumpling soup. Damn good! Overall, we really enjoyed our short time in Ulan Ude. It’s unlike any other place in Russia. Even though it’s a city, it almost has a village feel about it. When we arrived in the middle of the night, it seemed like a scary place, but we quickly found it to be very safe and pleasant. Ulan Ude had a strangely calming effect on me and I can’t really put my finger on the reason for that feeling, but I just know that I really enjoyed that place. * Side note: For those of you who don’t know what a marshrutka is (because why would you know unless you’ve been to Russia? ), it’s a minivan that doubles as a torture device if you are on it for more than 10 minutes. It’s usually driven by men who learned how to drive in a theme park bumper cars rink and is a great way to shake out any loose teeth or fillings. Marshrutkas make stops at official bus stops and anywhere along the road if you shout out to the driver. It costs about $3 per ride, regardless of distance. I also noticed that the ceiling of the bus was padded in a way that eerily resembled the inside of a coffin. I guess it makes it easier for burial purposes when all of the passengers die in a fiery marshrutka accident. 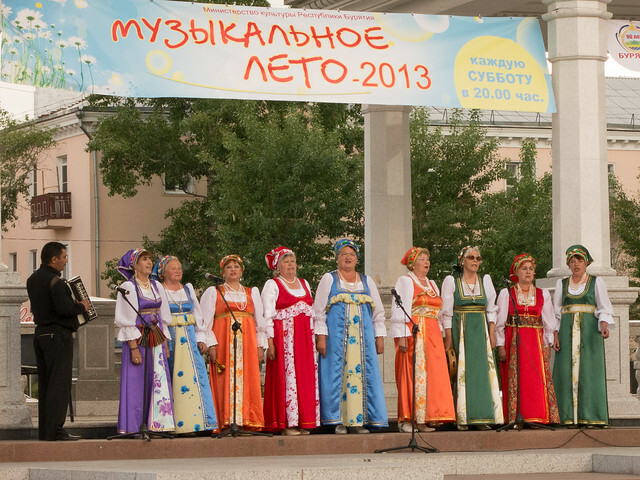 For more photos of Ulan Ude check out our Flickr album.